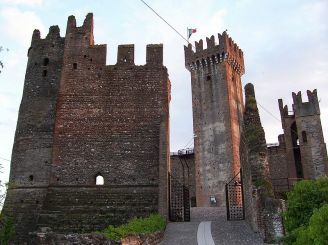 Castelvecchio Museum, Italy: photos, description, on the map. 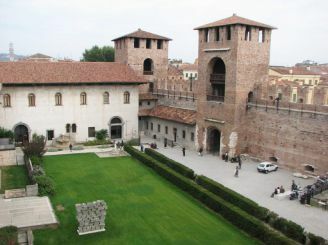 Museo di Castelvecchio has a rich collection of medieval painting and sculpture. 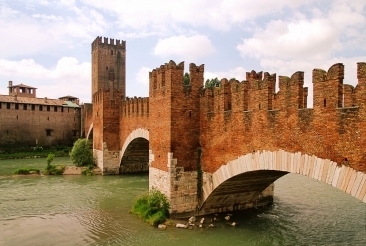 The museum is located in the Italian city of Verona in the castle of Castelvecchio. Castle is an outstanding example of Gothic architecture. It was erected in the second half of the 14th century. The museum began its work in 1923, but was opened to visitors only 50 years later - after the restoration work conducted under the supervision of the architect Carlo Scarpa. In the museum of Castelvecchio unique collection of works of art. Here and sculptures of saints, and of Sergei Bacchus, created in 1179, and a unique "Crucifixion" of the 14th century, and a statue of Cangrande I della Scala, sitting astride a horse. 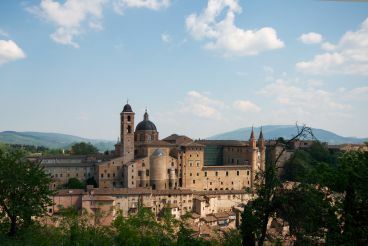 In the museum you can see the unique works of art, such as the "Madonna of the Quail" Pisanello, "The Crucifixion" by Jacopo Bellini and Andrea Mantegna masterpiece - "The Holy Family." Among the main attractions of the museum occupies a prominent place huge bell tower from 1370 Gardello. Particularly noteworthy frescoes exposure 12 - 14 centuries. Also attracted the attention of jewelry 15 - 16 centuries, and numerous sketches of Italian artists.